Professor Sir Colin Humphreys is the Director of Research at the Department of Materials Science and Metallurgy and The Director of the Cambridge Centre for Gallium Nitride. He is also the Director of the Rolls Royce University Technology Centre on Advanced Materials, Fellow of Selwyn College and a member of the Centre for Science and Policy (CSaP). Colin is also a Fellow of the Royal Society; Fellow of the Royal Academy of Engineering; member of the Academia Europaea; Past President of the Institute of Materials, Minerals and Mining and Chairman of its Managing Board; Member of the Court of the Armourers and Brasiers’ Company and past Master; Freeman of the City of London; and member of the John Templeton Foundation in the USA. He is a Director and Founder of the spin-out companies CamGaN and Intellec, to exploit his research on GaN; a Director of 2D Technologies, to exploit his work on graphene, and a member of the Advisory Board of Plessey. 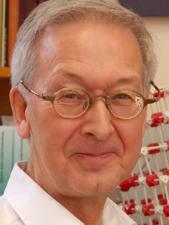 His research covers four main areas: gallium nitride materials and devices; advanced electron microscopy techniques; graphene; and high-temperature aerospace materials. In his limited spare time he writes on science and religion and is the author of "The Miracles of Exodus" (Harper Collins, 2003), which has been translated into German and Portuguese and has an Audio edition, and "The Mystery of the Last Supper: Reconstructing the Final Days of Jesus" (Cambridge University Press, 2011), which has been translated into Russian, German, Portuguese, Japanese and Greek, and has a South Asian edition. Gallium nitride is probably the most important semiconductor material since silicon and the Cambridge Centre for Gallium Nitride that he founded focuses on research ranging from fundamental studies to the development of LEDs and electronic devices. The application of Colin’s research, namely to next-generation solid-state lighting (Halo) and UV LEDs for purifying water in the developing world, can impact the lives of the world’s poorest 3 billion people. His GaN LED research is already being exploited by Plessey, which is manufacturing in Plymouth GaN LEDs based on the technology of his group. His motivation to join the Global Challenges Forum is to bring the benefits of LED lighting to the developing world.